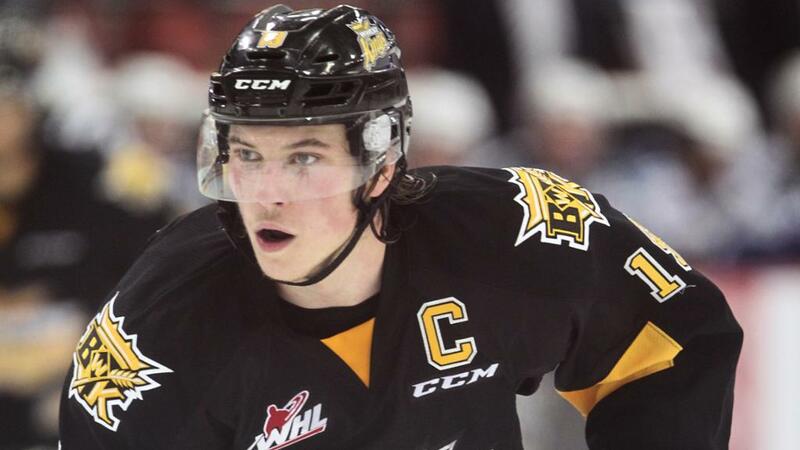 Pilfering Nolan Patrick in the 2017 entry draft is just one of the many reasons the Philadelphia Flyers are No. 1 in Dobber's rankings of the 31 NHL teams' prospect pools. Fans love lists. In fact, the only thing they love more than reading lists is picking holes in them because all fans are experts, eh. Knowing this, my boss at Dobber Prospects (managing editor Peter Harling) nonetheless commissioned a seasoned, perceptive and analytical group of fanatical hockey hounds currently writing/editing for Dobber to assign a grade to each NHL team’s top-10 prospects, which was cumulatively valued and ranked against all other 30 organizations, leading to the final rankings. To avoid penalizing teams whose young stars burst into the NHL in a hurry, extra points were added for 21-and-younger NHL roster players. Besides, Peter, the panel consisted of associate editor Hayden Soboleski and junior associate editor Cam Robinson as well as senior writers Kevin LeBlanc, Jason Banks, Joel Henderson, Brad Phillips, Pat Quinn, and Kevin Wickersham. A Dobber editor and writer, I was unable to participate due to other commitments, so don’t blame me if you disagree with anything in the rankings. As usual, feel free to agree or disagree with any of my thoughts in this Rambling column or in anything else I write. Members of the Dobber Prospects panel live in various parts of the U.S. and Canada with widely divergent favorite teams and players. As Peter told Pipeline Show host Guy Flaming on the Sept. 6 podcast, he noticed strong consensus about some players and wide discrepancy about others, which led to some surprises in the other overall rankings of teams’ best prospects. For example, Peter said he didn’t expect to see Detroit (25th) and Minnesota (21st) rated that low. Conversely, he expected the LA Kings (dead last) and Penguins (30th) to be on the bottom. Pittsburgh GM Jim Rutherford is bulletproof because he’s orchestrated two straight Stanley Cup titles. As the Dobber Prospects beat writer, I know that better than most casual fans or even keen Penguin followers. Promoting key young prospects such as Matt Murray, Jake Guentzel, Conor Sheary, Brian Dumoulin and Olli Maatta in recent years has been crucial to Pittsburgh’s rare cap-era back-to-back success. However, while Daniel Sprong, Tristan Jarry and Derrick Pouliot (?) are still in the pipeline, the Penguins are no longer deep in high-end prospects. Sure, the Kings claimed the Cup in 2014, but Darryl Sutter’s insistence on hulking plodders and Dean Lombardi’s complicity while the rest of the league was becoming addicted to speed and skill (as well as first-round picks dealt in a win-now bid) explains why John Stevens is now LA’s head coach and Rob Blake the GM. Peter admitted to being surprised San Jose was ranked just 29th. Although sixth is not shabby, Peter thought the Hurricanes might have been ranked higher, expressing admiration for the job done by Rutherford’s successor as Carolina’s GM. You can hear Peter’s conversation with Pipeline Show host Guy Flaming. Peter comes on at about the 1:22 mark. Take some time to peruse the Dobber organizational prospects rankings. It's a good read, and great fodder for some cracking sports talk over cold brews. If you haven’t seen it yet, I can tell you my Islanders (eighth) had better win our fifth Stanley Cup soon because in no time at all, the NHL championship will be shared for a number of years by the Flyers, Coyotes, Maple Leafs and Jets, with the Flames, Hurricanes and Sabres knocking on the door. Feel free to read, and disagree.